Sense out of Senseless…what do you tell your kids? 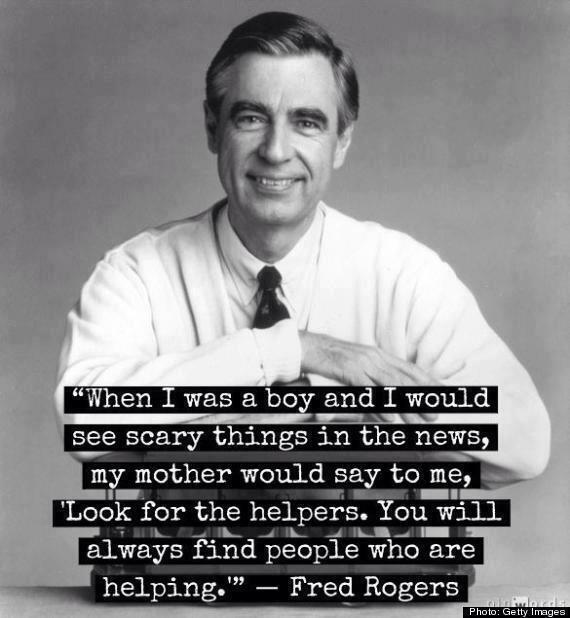 Another senseless tragedy brings to mind the words of Mr. Rogers…thankfully there are always people who are helping. You are always safe with this explanation when talking to your children…at least I think so! This entry was posted in Family, Kids, Parenting and tagged kids, Mr. Rogers, scary things by llpitlwp. Bookmark the permalink. I agree, it has been my mantra.